When a natural disaster strikes, it is quickly followed by immense political pressure for a fast recovery. 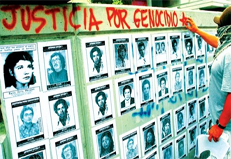 If human rights standards are not properly taken into account in disaster response measures, however, the needs of those worst affected may be left unmet, or worse, prejudiced further. CESR has been working closely with the New Zealand Human Rights Commission (NZHRC) in its efforts to monitor human rights in the wake of the 2010 and 2011 Canterbury and Christchurch earthquakes. 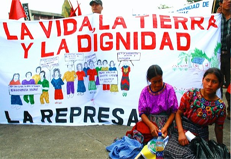 This important collaboration is part of CESR’s work to strengthen the role of national human rights institutions in securing accountability for economic and social rights. 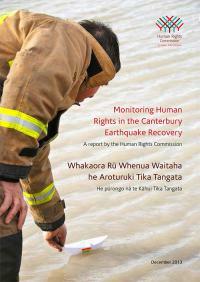 This has now culminated in a new NZHRC report, ‘Monitoring Human Rights in the Canterbury Earthquake Recovery'. The report examines the roles of both the public and private sectors in giving effect to the interrelated human rights to housing, health, and an adequate standard of living, along with crucial standards such as participation and transparency. It examines human rights challenges that have emerged during the recovery and makes 33 recommendations to improve access to adequate housing, health services and to help business make a positive contribution to human rights. A central pillar of the Commission’s extensive report was a detailed assessment of the right to adequate housing, using CESR’s OPERA framework. The analysis benefitted from a series of workshops held in Christchurch and Wellington which were organized as part of a broader partnership between CESR and the Asia Pacific Forum of National Human Rights Institutions. Importantly, drawing on OPERA in its analysis enabled NZHRC to clearly articulate the government’s obligations in the context of a natural disaster. This, the NZHRC reports, empowered the community to demand greater accountability for decisions made about the rebuilding of the city. 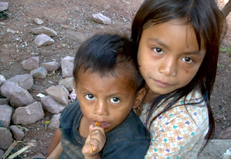 Over 10,000 homes were damaged, and thousands of families displaced, when the earthquakes struck. In the aftermath, key policy responses have impacted on housing supply and demand; repairs and improvements to housing stock; accessibility in private dwellings; homelessness; discrimination in housing provision, and security of tenure. The report analyzes these issues, highlighting instances of progress and areas in which challenges remain. A recurrent theme in the report is the move towards centralized governance, which has progressively removed the voice of affected people from decision-making process. The report therefore recommends that the government ensure active participation from communities and individuals in all decision-making about them at both the local and national levels by developing, implementing and actively monitoring appropriately tailored systems and processes. * To learn more about CESR's OPERA framework, click here.